With the help of phone and GPS, tracking seems not a big problem any more. However, when comes to long-distance, off grid tracking, things become tricky. Bluetooth only works within 100ft of your phone; Phone only work if a person has one and is physically able to use it; Maps only work if you’ve got nearby landmarks and know your destination, cellular only works if you’ve got service and off-grid trackers only work if you’ve downloaded your maps ahead of time. Theare are always some issues here and there. 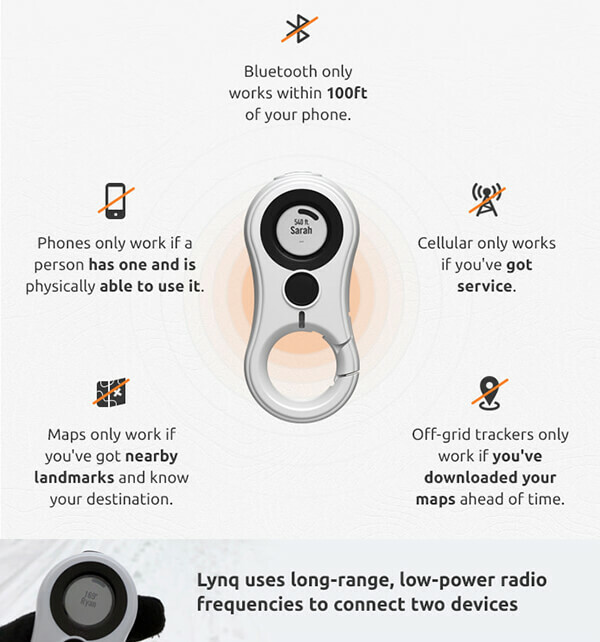 How we can have a tracker have no depency on phones, wifi, network, maps and apps? 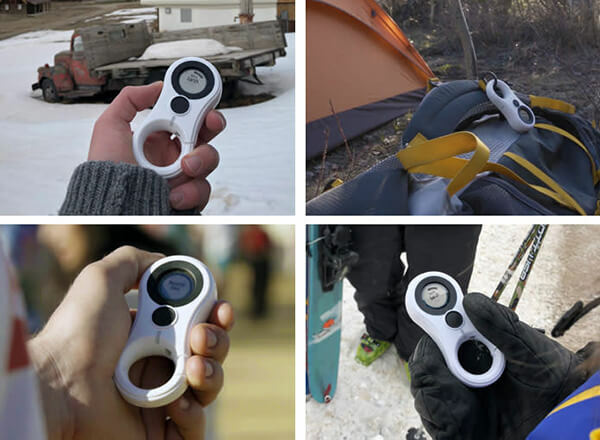 LynQ was designed with all those concept in mind and with three simple steps, it can real-time display shows the distance & direction of every group member at all times. 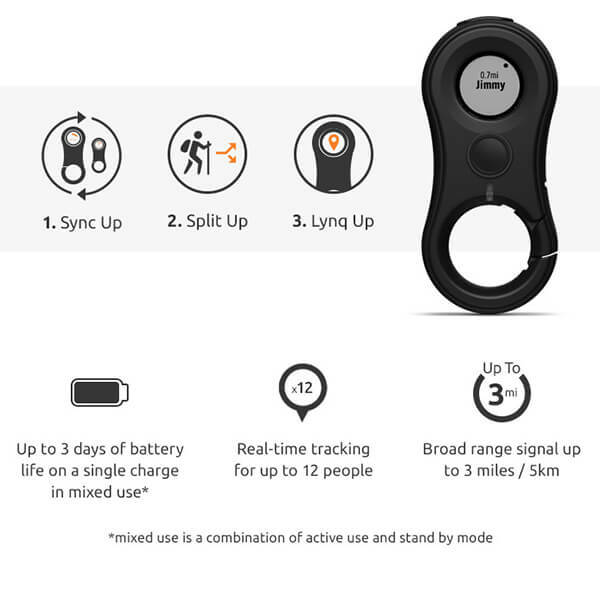 It broad range single up to 3 miles/5km and can track up to 12 people. Whether it’s friends, children or family, pets, or individuals with special needs or Alzheimer’s, Lynq gives the people you love the freedom to explore. Moreover, Lynq uses algorithms that blend GPS, long range, low power radio communication, with a custom antenna for connection anywhere under an open sky. Its WEATHERPROOF, WATERPROOF, MILITARY-TESTED DURABILITY means it can go anywhere you do, no matter the terrain. It is fundraising on indiegogo and its early bird price is $89. Head over to the page if you want to get one.